Microsoft’s Internet Explorer 8 to Speed Up Web Development? 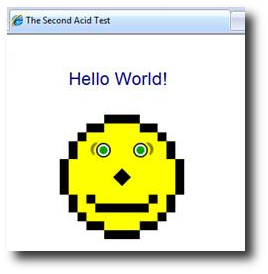 No sooner had I written about how Internet Explorer currently slows down web development, the IE team have announced that IE8, under development, is now rendering the Acid2 test correctly. This is a great step forward. The IE team has come under a fair bit of criticism lately for not giving any information to the web development community about what is going on, and when the next browser will be available. Their announcement that the next IE was going to be called IE8 was almost taken as offensive by some people, judging by comments in that blog post, as they wanted to know more useful details, such as when there would be another browser release and what would be in it. The IE team said they will “release a beta of IE8 in the first half of calendar 2008” but have not currently revealed further details on what other features to expect. However, they promise to offer more details going forward. Hopefully we see some other much-needed things like various JScript fixes and better standards compliance, more CSS 2.1 — even some CSS 3? — implementations and fixes, in-line spell checkers, etc. Now we just have to hope that IE6 goes away even more quickly! When that happens, the speed of web development should be what we would expect; less time battling browser differences and making unnecessary trade-offs and more time innovating on top of a somewhat decent baseline. Update: February 9, 2008: Looks like Mike R’s concerns in the comments below from a while back were warranted. It turns out that when IE8 comes out, you will have to opt in to get IE8’s standards compliant rendering mode. Otherwise IE8 will render as IE7, which will likely be the case for the vast majority of sites. This entry was posted in Browsers and tagged Browsers, ie, ie8, internetexplorer by Anup Shah. Bookmark the permalink. Whilst this is, of course, exciting news one has to view through a historic filter – I’m not warning you of following cynicism but more that IE8 is not a completely stand alone, new product. Since IE6 M$ has started paying more than lip service to sites that have been developed specifically for previous IE versions, generally thought of as a bad thing but just as generally done, and statements in the news items and IE blog don’t contradict this. SO – can IE8 final release maintain ACID2 compliance and still have this IE backwards compatability? Quirks Mode II, The Next Generation anyone? Internet Explorer 8 is more stable than IE 7 that is why i like it. I always experience freezing browser window in IE 7. Internet Explorer 8 is as stable as Opera and Firefox. it does not crash a lot like IE7. i am pretty much satisfied about the features and stability of Internet Explorer 8. it is much better than IE6 or IE7. Internet Explorer 8 seems to be the best browser for me. I can open more than 20 windows simultaneously without crashing. IE7 and IE6 is unstable that if you open more than windows at a time it just freezes or causes the blue screen. Internet Explorer 8 is so much better than the previous version of internet explorer browser. it is more stable and loads faster.